And the good new continues …. - 1874 Northwich F.C. And the good new continues …. The club are delighted to announce that Scott McGowan has tonight put pen to paper and signed a playing contract with the club. Since his arrival at the club Scott has proved himself a firm fans favourite and will continue to play a major part in the ongoing development of the squad. Joint managers Paul Bowyer and Wayne Goodison are delighted that Scotty has pledged his future to 1874 Northwich FC. 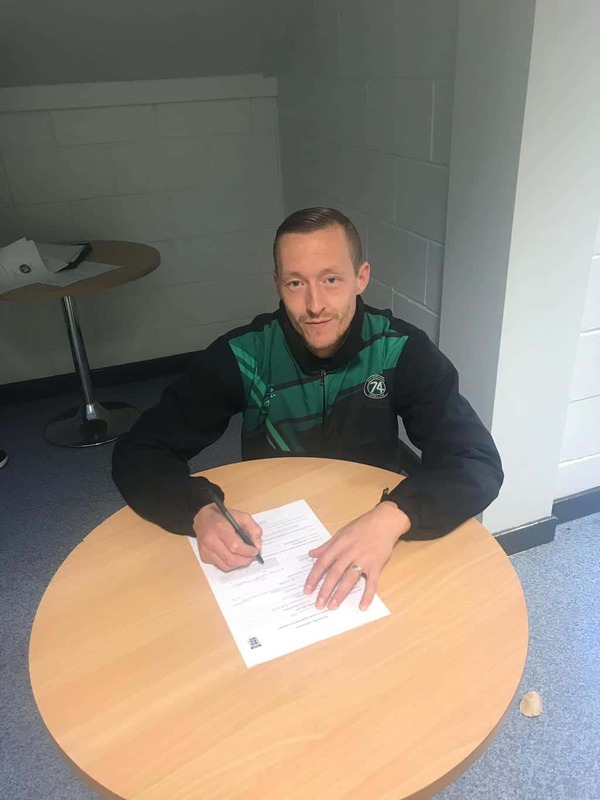 Scott McGowan commits his future to our wonderful club.